Gua Sha also known as skin scraping is a Traditional Chinese Medicine healing technique. The skin is lubricated and a smooth Gua Sha tool repeatedly strokes the skin which results in stimulation and the appearance of small red patches. Gua Sha moves Qi, blood and lymph (fluid), relieves muscle adhesions, myofascia restrictions, tendon and joint pain, stabilizes pores and stops penetration of pathogenic wind, cold, damp or heat ailments. Gua Sha is very effective and relatively feel pain during and after the treatment and the red marks disappear within 3 to 7 days. pain, migraine, PMS, osteoporosis, rheumatism etc. 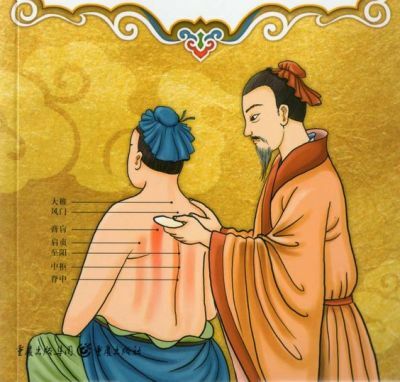 · Relaxes the mind and body Gua Sha is applied to prevent onset of illness and to expedite resolution of acute illness. petechiae and ecchymosis of Gua Sha is not bruising as bruising is damage to tissue from a blow.